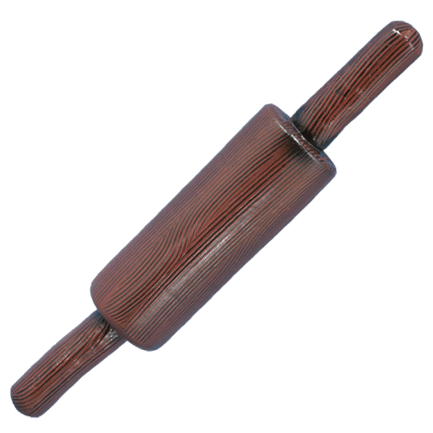 Our Bakers LARP Rolling Pin makes for the perfect prop or throwing weapon in any LARP game. This is a coreless items and is about 15.5 inches long. Please note that this baker's roll is not made to for use with food, it is only a prop or LARP throwing weapon. While all safety measure are taken during manufacturing, such as choosing non-toxic material, it still is recommended not to be used with food as the maintenance of the item requires Silicone spray. This LARP War Mallet is approximately 15.5 inches in overall length. This measurement will vary as each LARP War Mallet is handmade.